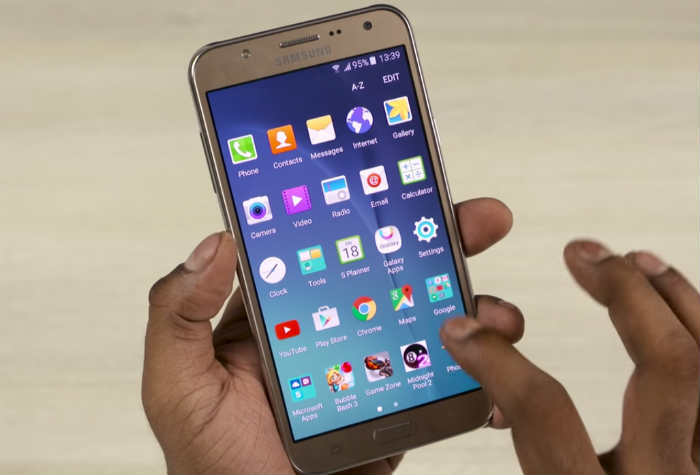 Read on to understand why a mid-range device like the #Samsung Galaxy #J7 may encounter errors like “Unfortunately, Maps has stopped” and learn how to troubleshoot it when it happens to you. Turning on the GPS service on your phone will also open other apps and run services necessary to give you a more accurate information about your location but the app that’s most often used by the GPS service is the Maps, a built-in app used by other services that offer similar functions. The error message “Unfortunately, Maps has stopped” is basically notifying the user that, for some reason, the Google Maps has stopped and something has to be done to fix it. In this post, however, we will be basing our troubleshooting on a report from our reader claiming the error shows up when GPS is enabled. If you own a phone like this and are currently experiencing similar issue, read on to learn more about the problem and how to troubleshoot it in a bid to get rid of the error for good. If, however, you have other issues or concerns, visit our troubleshooting page for we have already addressed a lot of issues with this device especially most common ones. Find problems that are similar with yours and use the solutions we suggested. If they don’t work for you or if you need further assistance, then fill up our Android issues questionnaire and hit submit. Make sure you include important information as to when and how the issue started so that it would be easier for us to troubleshoot the problem. Hi guys. I hope you’re all doing fine. I have a Samsung Galaxy J7 phone I bought in November last year and I did encounter a few hiccups here and there that I was able to fix on my own. However, the recent problem I encountered has something to do with the GPS. I often use GPS when I drive and this phone has been helping me since I got it but recently I could no longer use the GPS due to the error “Unfortunately, Maps has stopped” that shows up whenever I enable the service. I’m not quite sure what this problem is all about but I just want it gone so I can continue using my phone like before. Thanks a lot! We will immediately try to isolate the problem to know if third-party apps play a significant role in triggering this issue. It’s just suspicious because the GPS is a built-in service and the Maps app is pre-installed and between default services and apps, there shouldn’t be a problem…unless there’s interference from third-parties. By booting in safe mode, we’ll be able to tell immediately if the problem is due to a third-party app. Press and hold the Power button (located on the right) until Phone options is displayed then release. Tap RESTART. Note: This restart process may take up to one minute to complete. Once the phone successfully booted up in this mode, try enabling the GPS to see if the error still shows up and if so, then the next step might help. The error explicitly mentions the app that crashes and while we’re not sure if it’s an issue with the app itself or not considering it shows up when GPS is enabled, it’s still the most logical procedure to do right now. You may lose your settings and other data that have been accumulated by the app but aside from that, everything won’t be touched. You may do this while the phone is in safe mode or not. If in safe mode and the error won’t show up after clearing the cache and data, then try to boot in normal mode to know if it shows up and if so, then proceed to the next step. After clearing the data of Maps and the issue still occurs, it’s a sign that the problem might be caused by a firmware issue. We need to rule this out first that’s why it’s necessary you wipe the cache partition so old caches will be deleted and replaced with new ones. Don’t worry, all you have to do is delete them and the system will create new files by itself. If the wiping of the cache partition failed to get rid of the error, then it’s time you reset your phone. This will bring the device back to its default factory settings or a configuration that works, however, make sure you make a backup of your files and data as they will be deleted during the reset process. For the error “Unfortunately, Maps has stopped” a mere factory reset will fix the problem for you but then again there’s no guarantee. So after this and the problem remained, it’s time to have the phone checked by a technician.